Capturing just the right moments of your wedding event by your wedding photographer is the secret to a fabulous wedding photos. These top 10 wedding photo collection of memories will be different for every bride. You may discuss this with your wedding photographer which images you want to be included for the wedding album. Here are the most recommended memorable wedding moments to capture with wedding photography. Buttoning or even lacing the bride’s wedding gown can be one of the brides’ dressing custom. Though most contemporary wedding trends are generally streamlined and straightforward, some traditional wedding gown designs have buttons or possibly a laced corset down the back. These can take a huge amount of time in order to fasten. On this instance, some brides want their photo taken with their mother and bridesmaids helping out with the task. Let your wedding photographer capture those moments and the happiness shared during preparation for a touching wedding album. Wedding couples spent a great deal of time preparing their wedding event. Traditionally, this includes times whenever mothers and fathers provide their last-minute assistance prior to the wedding ceremony. This is a great time to capture moments where the bride talking to her mother or the groom with his awesome father. You may include photos of your family members for the design layout of your wedding album. For hundreds of years around several cultures, marriage rituals done by parents include passing caretaking duty of the daughter to her future husband. Nowadays, this traditional custom is actually ceremonial. Although brides traditionally selected their own father to “give them away,” there are brides prefer both parents to get involved. Even though a ceremonial act of gesture, it’s essential that you capture the moment where the bride’s father gives her away. So, don’t forget to take photos of the bride and her father walking down the aisle or standing together with the wedding officiant. Being a timeless wedding photograph, the bride and groom’s first kiss at the wedding ceremony has been a symbol of love and trust. It signifies the finale of the wedding ceremony and the outset of a fresh new life with each other in marriage. Determine if you want the wedding photographer to capture this moment as a candid shot or have it re-enacted for a picture-perfect photograph. The special event throughout the wedding ceremony and the get-together at the reception are part of the wedding celebration shared with friends and family. The couple then share a quiet moment with each other away from the crowd while their wedding photographer stage a wedding photo alone together. As a traditional wedding shot for the wedding album, a wedding photographer can take a photo of the couple looking adoringly at each other, embracing and sharing a sweet moment. As an essential wedding shot, your wedding party group photo doesn’t have to be formal. The wedding photographer can have your photo taken together with the wedding party posed in front of the altar, a garden or at the reception. You can make hilarious wedding party group poses for creativity. Decide on what matches your family best. Among the list of wedding reception tradition for alot of brides and grooms was the bouquet and garter toss. Your wedding photographer can capture those moments when hands go up to grab the reward. No need to worry who really grabbed the bouquet in case the photographer gets the perfect shot.The successful recipient may now pose a photo with the couple together to keep the memories alive in photography. Wedding guests normally let them have a classic send-off, which makes them walk through a shower of rice or bubbles. Many couples exit in style in a limousine or in a horse and carriage while the wedding photographer capture photos of the couple in their wedding transportation styles for the send-off. Your wedding event celebration is a time where friends and family come together to see each other after many years. It’s best to have a captured photos of your close friends from high school or college, respected mentors, old family members, and alot more. 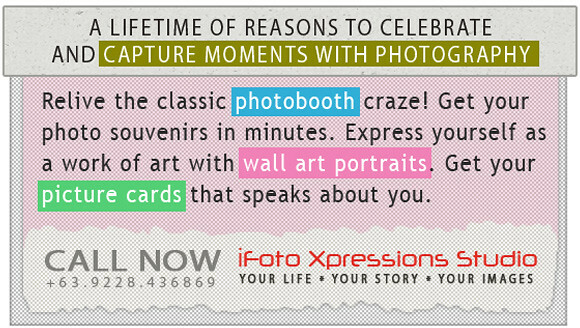 If you have a wedding photo booth, you can have instant pictures of your guest in wacky and hilarious pose. You might want to include them as well in your wedding album.